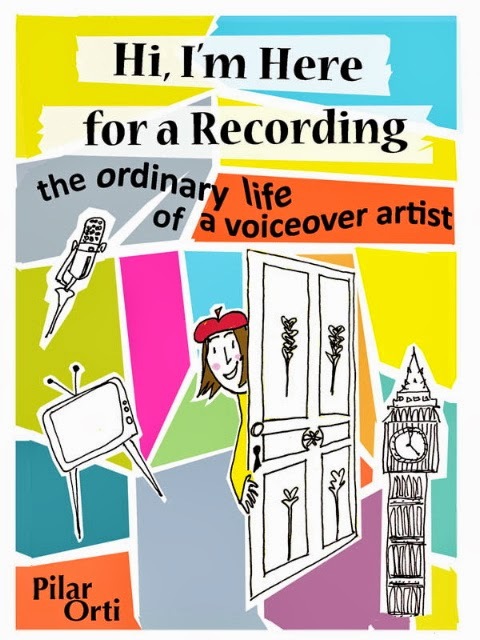 It’s the end of the year and once more, I’m going to have to say good-bye to the last twelve months without having released “Hi, I’m Here for a Recording, the ordinary life of a voiceover artist”. Back to the computer. Try out a second draft. Take out all the little bits of information that don’t have any emotional input in the story. Ok, a little bit better. Leave it in a drawer (a metaphorical one, I don’t really have drawers for stationary anymore) for a couple of months. Come back to it and… it’s nowhere near ready to give to my friend Sue who offered to read it and give me her opinion! May 2015. Lanzarote. I take ten days off to edit two pieces of writing, both as Kindle documents: The content of my novel (written under pressure of NaNoWriMo in November 2014) and the latest draft of the memoir. Result: the content of the novel is way too all over the place so I just use it to create a synopsis and decide to start from scratch in November 2015 (I tried, and stopped a few days into the process); the memoir, I really need a printed version if I want to make any proper changes. Having read quite a bit around writing a novel over the last six months, I’m now at the stage where I need to give the memoir a meta-edit, by which I mean, stop reading and improving the writing and have a look at the arc of the story – my story – and the shape of each chapter. Treat it more like a novel and less like a biography. I don’t know why I’m hooked on finishing this book. I could say that I don’t like leaving projects half-baked (which is very true); I could say that I look forward to finding out that every month I’ve sold a couple of books (let’s be realistic); I could say that I have thoughts and stories I’d like to share. But ultimately, I’m writing this book because I have to. That’s why I’m always baffled by books and courses on writing non-fiction which have a section called “What Shall I Write About?” or “Finding your Topic”. As Guy Kawasaki said in his book APE, only write because you want to write. And you usually don’t want to write unless you have something to say. Don’t write for money. Once upon a time, it was possible to sell ebooks for a decent royalty. Once upon a time, not many people had published on the Kindle and it was easy to get rich within a month. But although now is the best time to be a full-time writer (the market decides whether your book is worth reading, instead of relying on publishers to decide that your book is worth publishing), it’s not easy. And if you don’t have anything to say, why spend time (and money and energy) self-publishing a book when there are so many other things you could be doing with your life? Mark is the founder of Smashwords, a self-publishing platform for ebooks, that also acts as a distributor. The platform has been around for ages and Mark definitely knows what he’s talking about. So, I’ll leave you with a quote from his latest blog post. Happy 2016 – may it bring you lost of joyous moments reading or writing, or both.